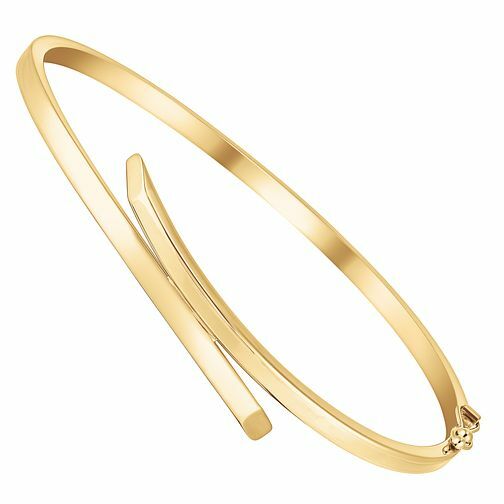 Crafted in classic 9ct yellow and featuring an elegant crossover design, this stunning bangle is a charming blend of contemporary trends and vintage glamour. Wear with complementary yellow gold jewellery for a coordinated finish, or contrast with bright jewel tones for an on trend colour clash. 9ct gold crossover bangle is rated 5.0 out of 5 by 1. Rated 5 out of 5 by Anonymous from Gold Bracelet Brought for my daughter's 25th. Very pretty could have been a little larger.